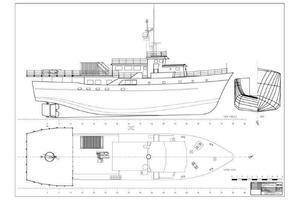 PHOENIX was built as a robust steel North Sea trawler at Davie Shipyard in Quebec, Canada where she fished successfully for 30 years. 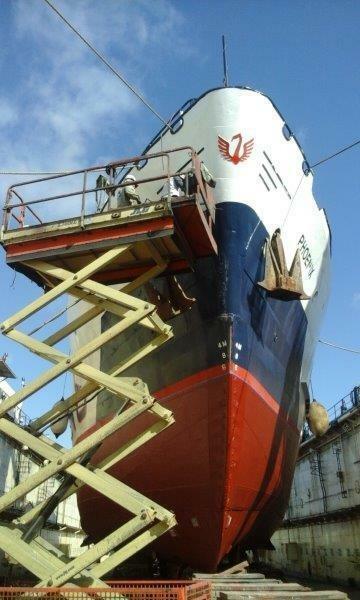 PHOENIX then went through a generous '04-'08, $10m+ extensive rebuild at Rockland Marine in Maine. 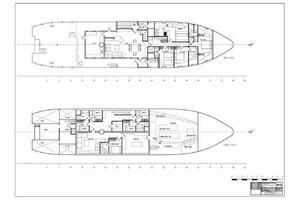 Everything was stripped and replaced or renewed with new equipment and a yacht interior.PHOENIXretains her utility orientated, commercially capable, explorer appeal. 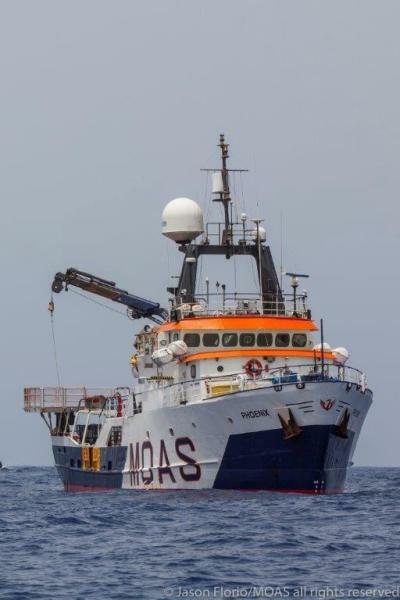 The current owners purchased PHOENIX in Portsmouth, Virginia and delivered her to Malta where they continued to make more substantial improvements including installing a drone deck and using PHOENIX over the past three years to rescue over 33,000 refugees off the North Coast of Africa. 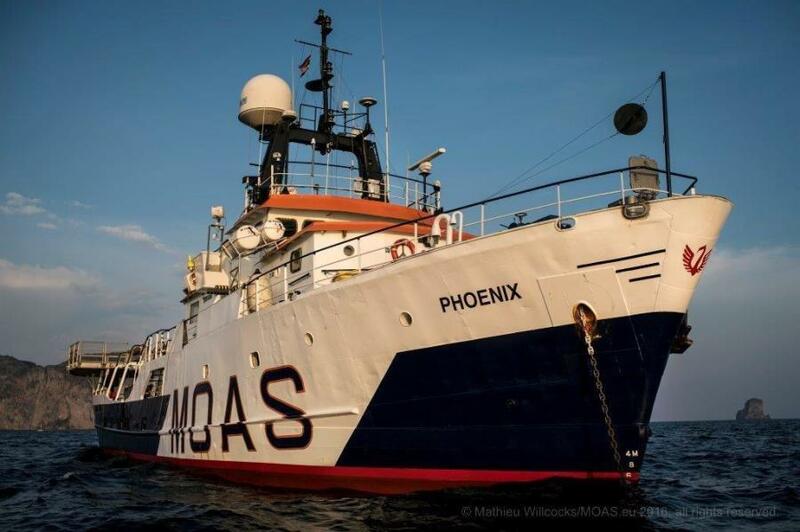 Last year PHOENIX steamed from Malta to the Bay of Bengal (Myanmar) for more humanitarian efforts. 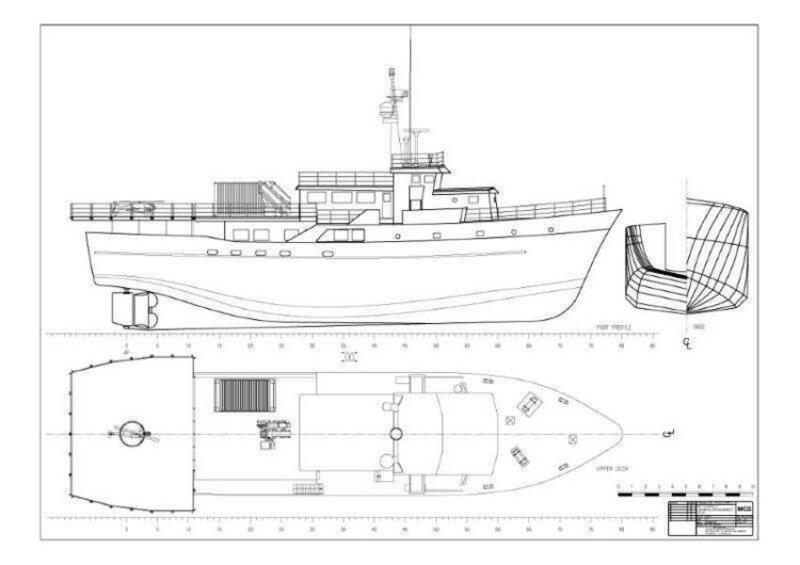 This long range vessel is suitable for Expedition/Research/Sub-Tender/Adventure Yacht, ice sheathed with a potentialrange of half way around the world.Huge crane, A frame available and deck space allow for vast research and/or tender/subs/toy deployment and storage. AvGas/drone compliant, heli-deck options. PHOENIXis in commercial INSB class. 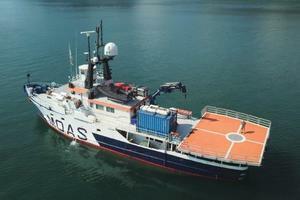 Consumption of main engine + 1 - 100 kw generator at 9 knots is 104 liters/27 gallons per hour. 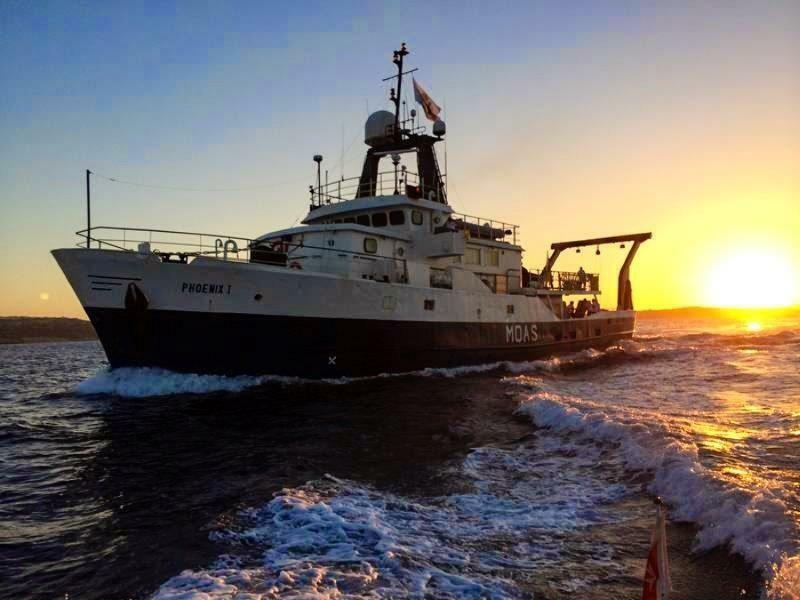 Technically, she is superb and cosmetically she is ready to go able to perform many functions, including a great globe trotting yacht.PHOENIXaccommodates 22. 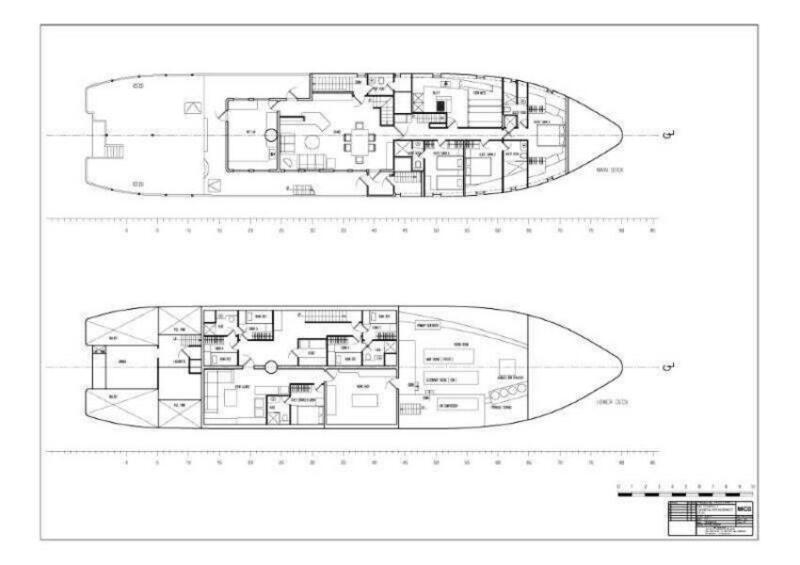 Note in the specification of the 2014 – 2016 improvements, they are only the latest of the good life of a distinguished ship with many more adventures ahead of her. 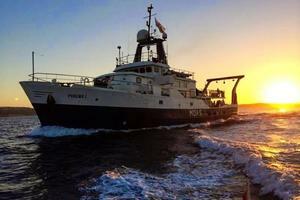 NowPHOENIXis berthed in Dubai ready to continue her global expeditions. 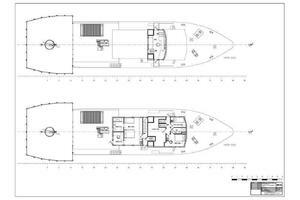 United Yacht Sales New Jersey would love to guide you through a personal showing of this 130' Custom Expedition Yacht 1973. 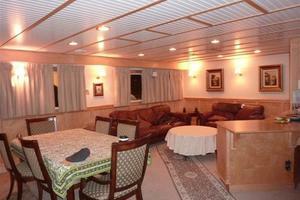 This yacht for sale is located in Dubai United Arab Emirates and priced at $3,500,000. For a showing please contact us by filling out the form on this page and we will get back to you shortly! 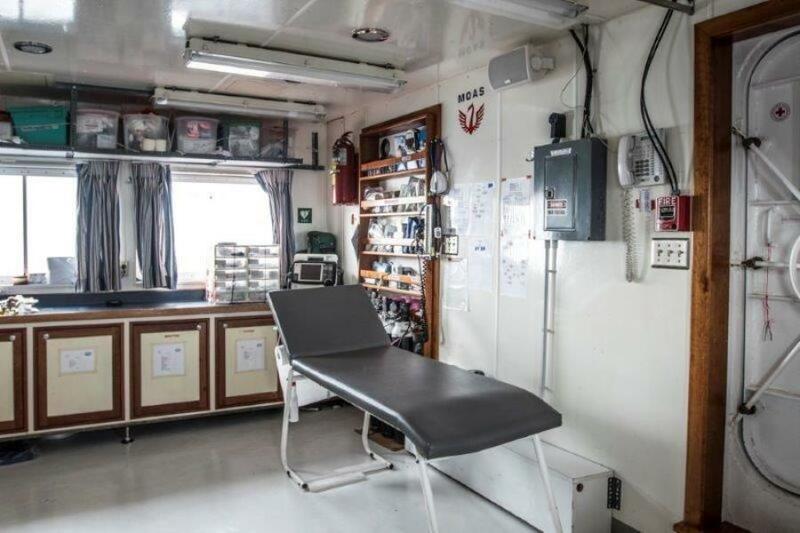 On the main deck there is a salon and guest dining area with doors port and starboard leading out to the main deck and aft to the research lab, which opens onto the aft deck. Forward of the salon, to starboard, are three guest staterooms, 1 with queen bed, 2 with 4, each with private baths. 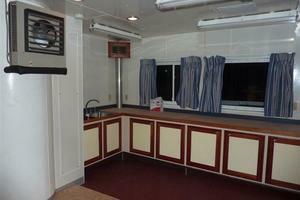 The galley and mess are on the main deck to port. 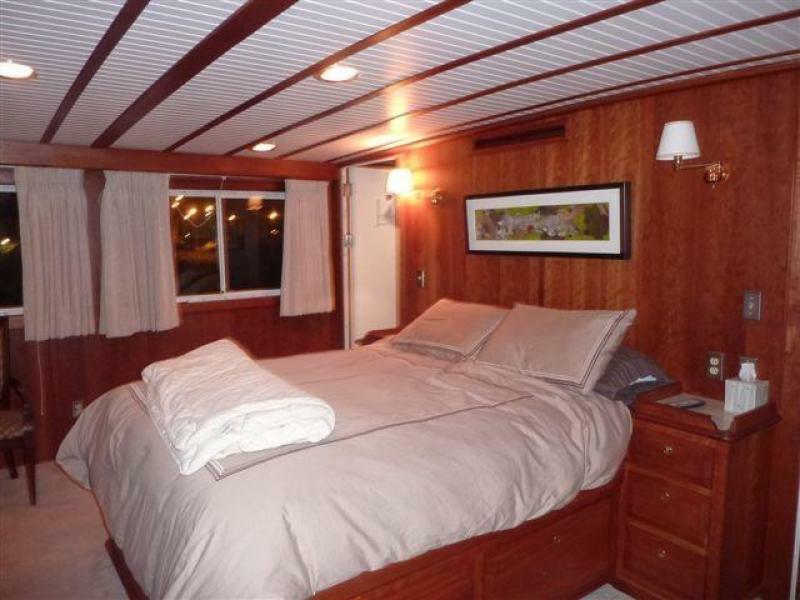 The next deck up, behind the wheelhouse is the Owner's Suite with a queen berth and day bed, hanging lockers and plenty of cabinets, a private bath with a tub and a very pleasant, separate office, which has a door leading to the Upper Aft Deck. On the same deck, but forward of the wheelhouse, is a Junior Suite, consisting of a queen cabin and single cabin, sharing a head with a private entrance on deck. 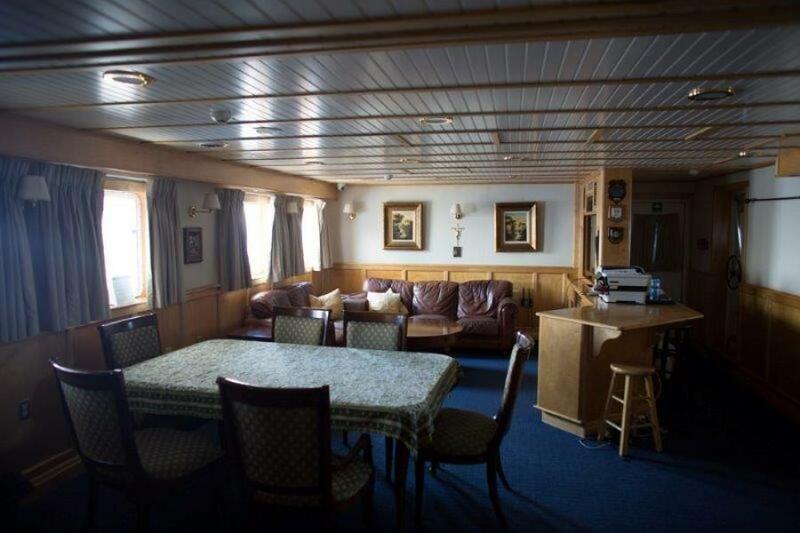 The junior suite is currently being used for captain and 1st mate. 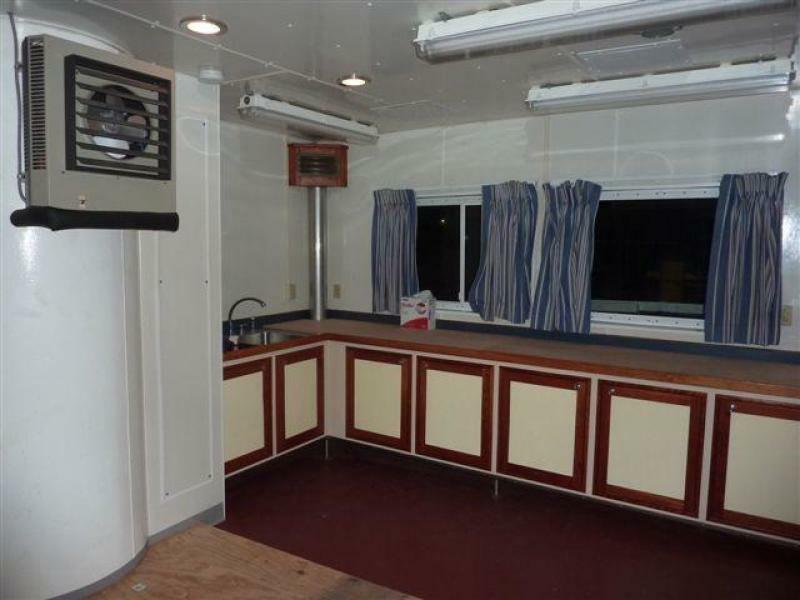 The interior is finished with cherry, maple and mahogany paneling or insulated panels and trim, center bead paneling overhead or, in some of the work spaces, sheet metal paneling overhead, all with recessed lighting. 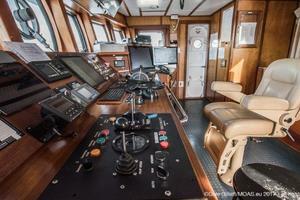 In the wheelhouse, the helm console, chart drawers and cabinets are finished in mahogany.PHOENIXhas been completely sanitized since humanitarian activities. 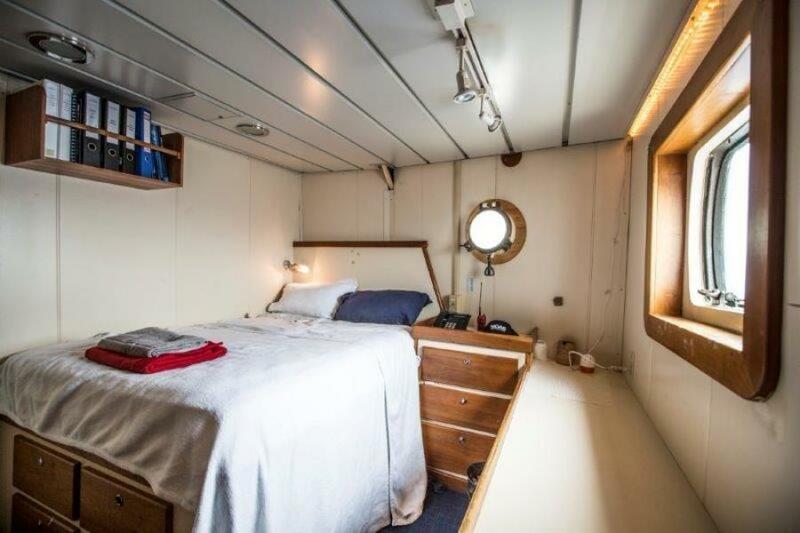 Owner’s cabin: sleeps 3 Captain’s cabin: sleeps 1Chief officer’s cabin: sleeps 1Chief engineer’s cabin:sleeps 1Guest cabin #1:sleeps 2Guest cabin #2:sleeps 4Guest cabin #3:sleeps 4Crew cabin #1:sleeps 2Crew cabin #2:sleeps 2Crew Cabin #3:sleeps 2 Sleeps 22 in total. 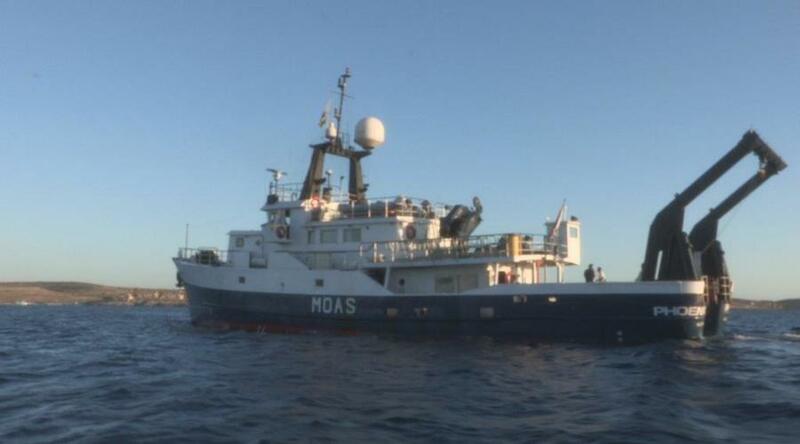 There have been as many as 400 on board. Large galley containing built-in benches with seating for 15 plusflat screen TV, DVD and stereoto port on the main deck. There is a True double door, stainless refrigerator and freezer unit, a Kitchen Aid dishwasher, New Broan range, Sharp microwave and Bosch oven. 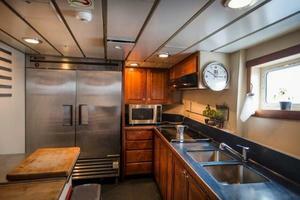 The galley is finished with cherry cabinetry, Corian countertops and rubber deck tiles. New anchoring arrangement installed, including new port & stb windlasses, new anchors and chains together with new chain lockers (Jan '16). 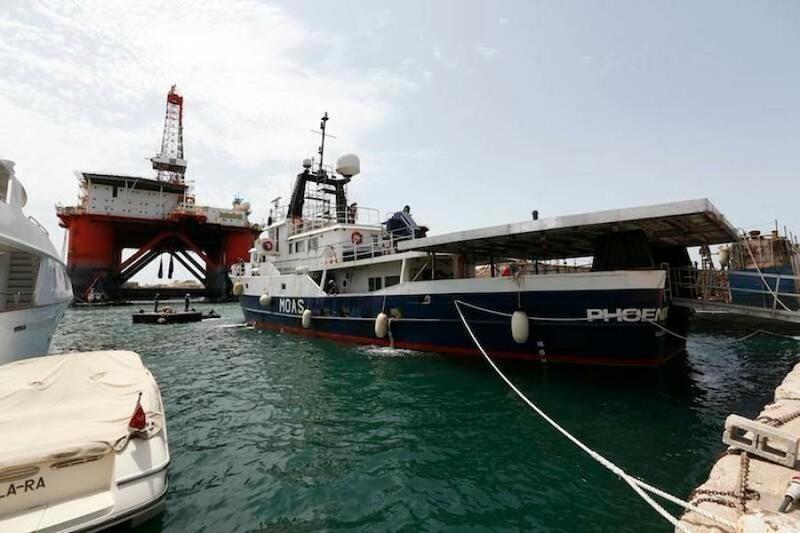 The vessel’s propulsion system consists of a main and auxiliary engine (Father and Son) coupled to a common gearbox, driving a single variable pitch prop. 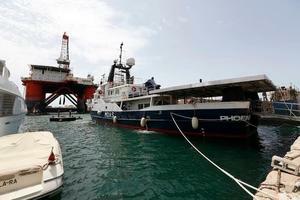 Both are fed by separate fuel and control systems for safety and redundancy of the propulsion system. Consumption of main engine and 100kW generator at 9 knots is 104 liters per hour. 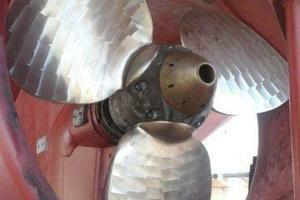 Propulsion shaft was withdrawn and propeller hub dismantled. Shaft and bearings calibrated and all assembled back with new seals in March 2016. The “Father” main engine is a Caterpillar 3512 with 1,200 horsepower at 1200 max rpm, 1988. The “Son” engine is a Caterpillar 353 with 420 horsepower. The two engines are solid mounted, side-by-side, on welded steel beds. The gear is a (rebuilt 2014) Lufkin 6600. Each engine has an Eaton Air Clutch for engagement. The gear turns at a single constant speed, with engines set at operating RPM, turning a steel 8” shaft with six bearings and a variable pitch propeller. The stern tube is a gravity fed oil filled tube. Shaft pulled Spring of 2016 with entire drive train renewed. 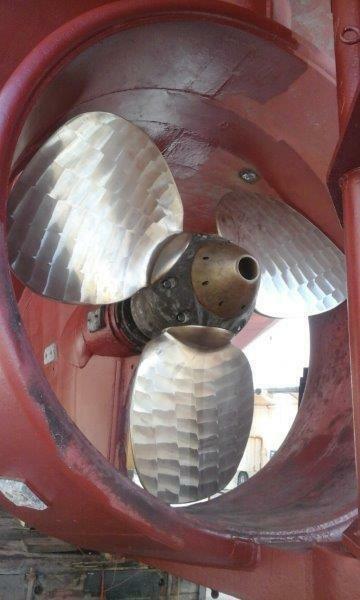 The Lipps propeller, with Kort nozzle, was reconditioned 2016, new propeller blades were added and is outfitted with Lipps electronic controls. There are three steering stations. The bridge, two bridge wings, all new in 2005. The steering gear is of Rolls Royce Tjeneford manufacture, completely rebuilt in 2016. Power for the steering system is supplied by two independent hydraulic power units, mounted port and starboard of the steering quadrant. Either one or both may be used to power the unit at any time; they may be switched over with no loss of steering function. The rudder post is 6” steel. 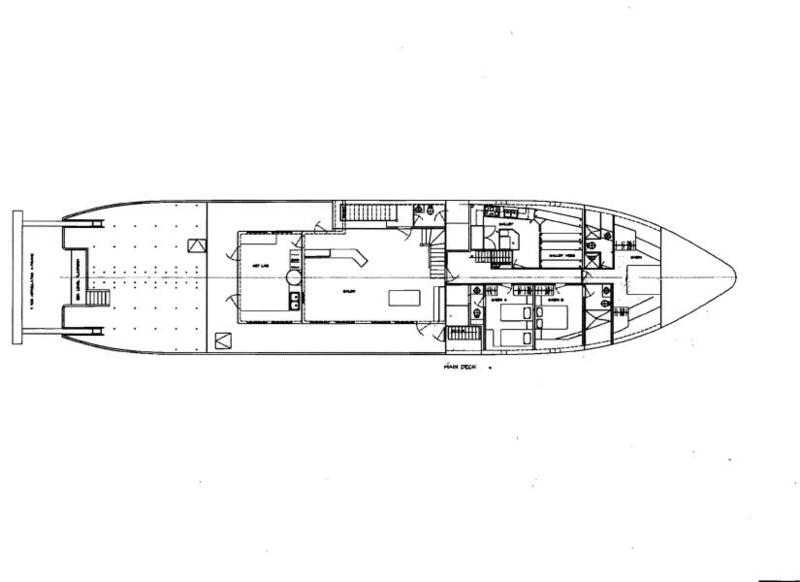 Three tanks, one in the bow, two in the lazarette, are integral with the hull. The total fuel capacity is approximately 80,000 liters/21,134 US gallons. Each tank wall has an inspection manhole and all have been inspected during drydock in 2016. Each tank has a 2” deck fill pipe and a deck vent. 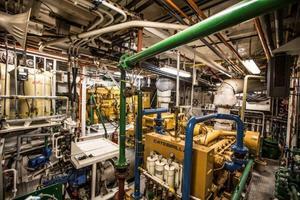 The fuel system is hard piped to the engine room with a manifold valve system and a 480 VAC transfer pump. The engines run off, and return to, the forward tank. Fuel can be transferred to and from the aft tanks. An emergency mechanical shut-off is installed in the forward guest quarters above. A second shut-off is installed in the starboard deck locker, outside of and above the engine room. The fuel lines are hard piped to the fuel filters at each engine then USCG Type A-1 hose is used from the filters to the engines. 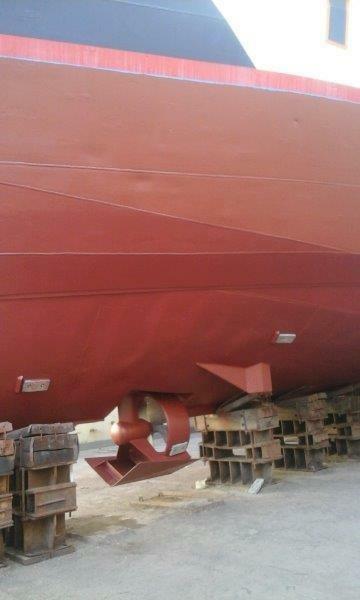 There are two additional tanks in the stern of the vessel that were converted to ballast tanks in 2009. These tanks could be reconverted to fuel tanks with minimal changes. The total approximate 53,000 liters/14,000 US gallons. 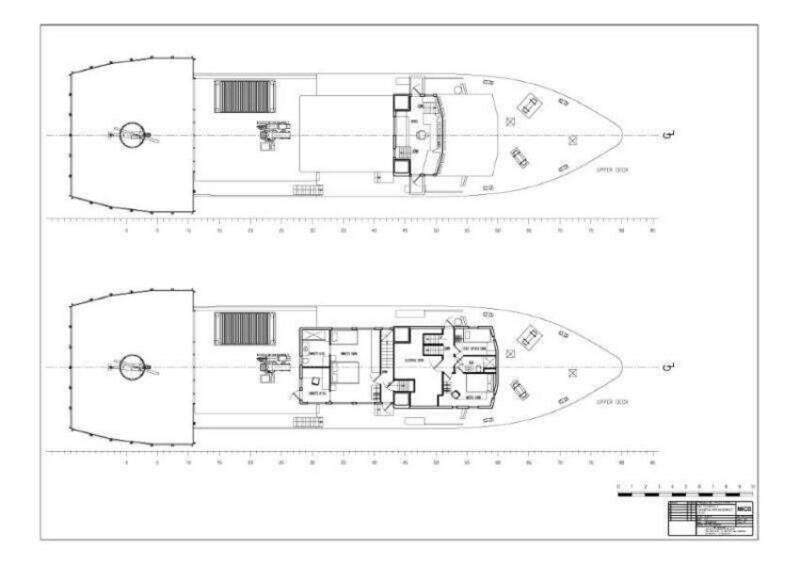 Two tanks are integral with the hull. Starboard tank holds 11,806 liters/3119 US gallons and the port tank holds 6,567 liters./1735 US gallons. Both tanks have been opened, sand blasted, and painted with Amerilock 400. 3 pumps serve as primary pumps. Freshwater can be piped directly on board. 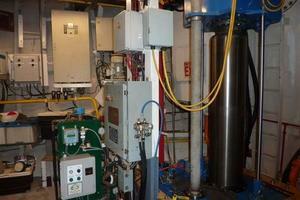 Hot water is provided by a Bock diesel fired hot water heater, (new unit and exhaust stack 2005). The freshwater system is supplemented by a reverse osmosis Aqua Whisper 220 VAC water maker (new 2005). The unit is capable of making 6,813 liters/1800 US gallons of fresh water per day. Head Hunter Tidal Wave, 240 VAC, Marine Sanitation Device with a 4,353 liters/1150 US gallons, polyethylene, holding tank, set in welded chocks in the bilge. 3,974 liters/1050US gallonsand 1,135 liters/300US gallonspolyethylene tanks set in welded chocks in the bilge, for gray water with AC pump for overboard discharge. 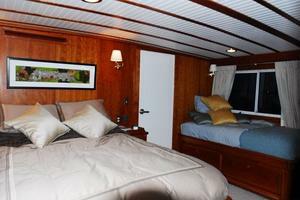 “Phoenix” is equipped with eight full bathrooms with Head Hunter toilets, sinks, and showers, Day Head. (All equipment, tanks, fixtures, and PVC plumbing are new 2014). 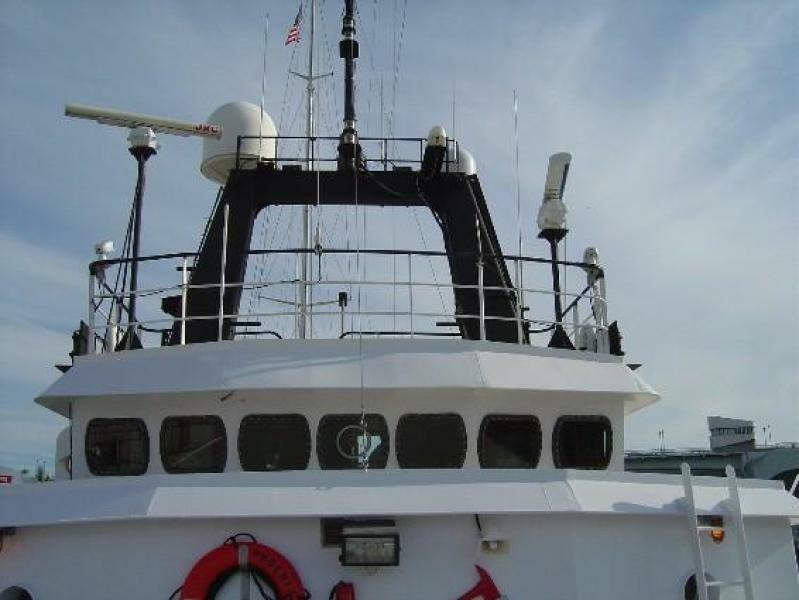 The Head Hunter sanitation device is capable of cleaning black water to enable overboard discharge. 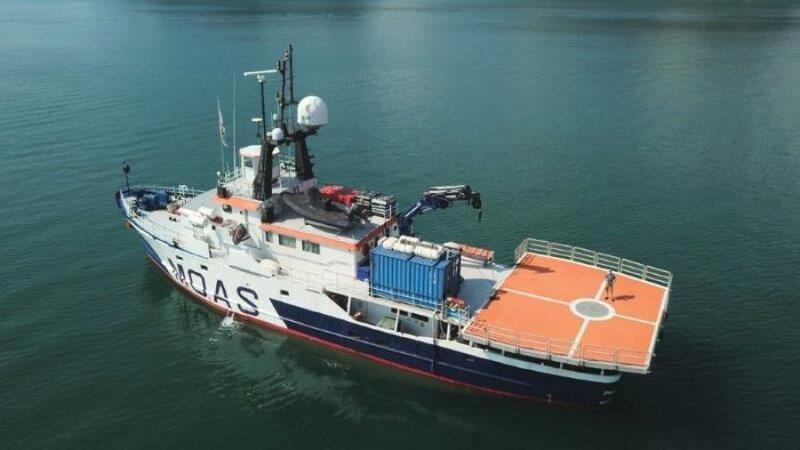 CONSTRUCTED:2014LENGTH:9mWIDTH:11.40mDECK LOAD CAPACITY:1 tonne per square metreMATERIAL:AluminiumThe flight deck is currently configured for drone operations. There is a 900 ltrs/238 gallons avgas tank with approved certificates. There have been 400 people on the flight deck which is about 26 tons. Class is being consulted on maximum helicopter rating. Thrustmaster, 250 HP, retractable bow thruster with Kort Nozzle. 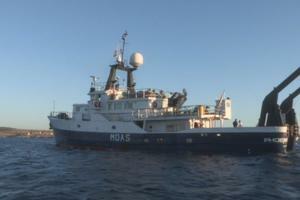 The unit rotates 360 degrees and can pull the vessel at 3 knots and serves as a 3rd back up “get home” propulsion. The unit is powered from a front mounted PTO, with HPD gear and triple pumps, on the “Son”. 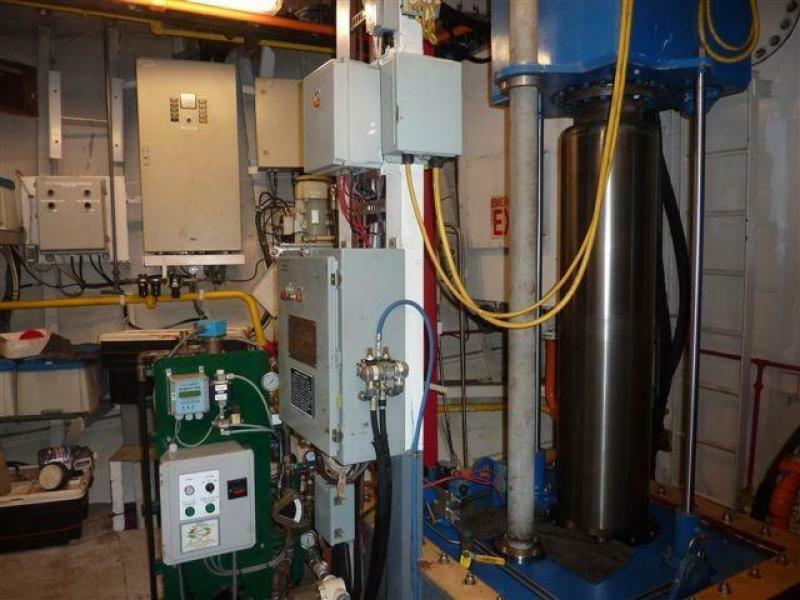 The system has a separate oil reservoir tank, and raw water oil cooler with a Flomax #8 pump. There is a 240 VAC emergency pump to retract the unit if there were a failure of PTO. The thruster has operating controls at all four steering stations. 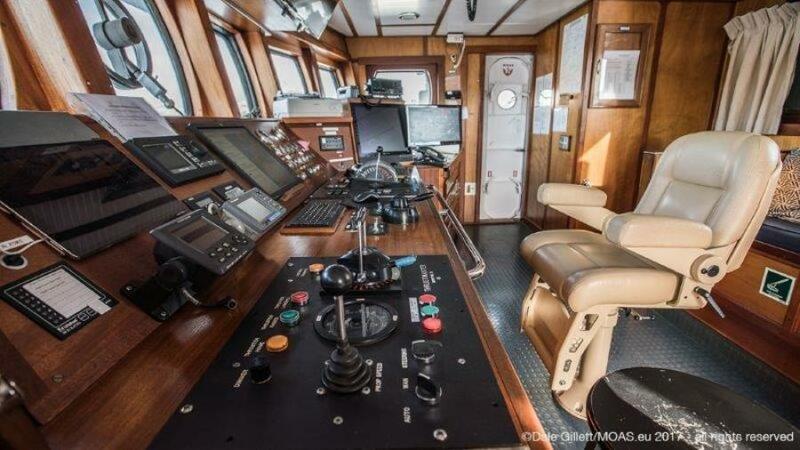 It was completely rebuilt in March 2016.There is aseparate electric/hydraulic unit in the lazarette that canindependently operate the bow thruster and all other hydraulic functions on board without the son engine.. Originally Lloyd’s classed, the hull is welded 3/8” steel plates over 3” x 5” x 5/16” steel angle frames set at 18” on center and ice sheathed. There are five structural bulkheads and 12 longitudinal stringers of 3” x 4” x 5/16”. There are side stringers of 3” x 9” x 9/32”. The frames are welded to each stringer. 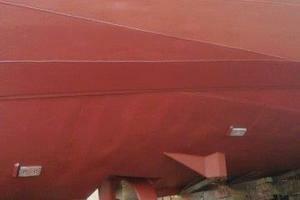 The hull is insulated with foil faced fiberglass insulation. There are 10” and 14” sea chests and three decks of 9/32” steel plate. New steel pipe 42” high rails have been installed around all deck spaces. There is a raised watertight scuttle hatch for the forward locker. 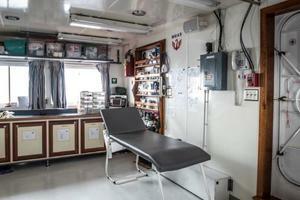 There are two deck scuttles from the engine room and crews quarterdeck to foredeck. 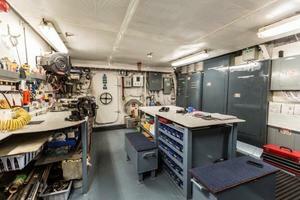 The engineering deck has a 3’x3’ deck hatch, up to the main deck and two Freeman hatches to the starboard bilge. 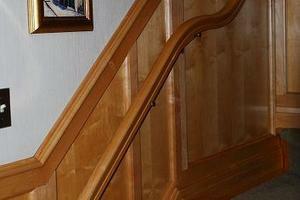 The port bilge has a steel door and short ladder. The lazarette has a raised scuttle hatch. 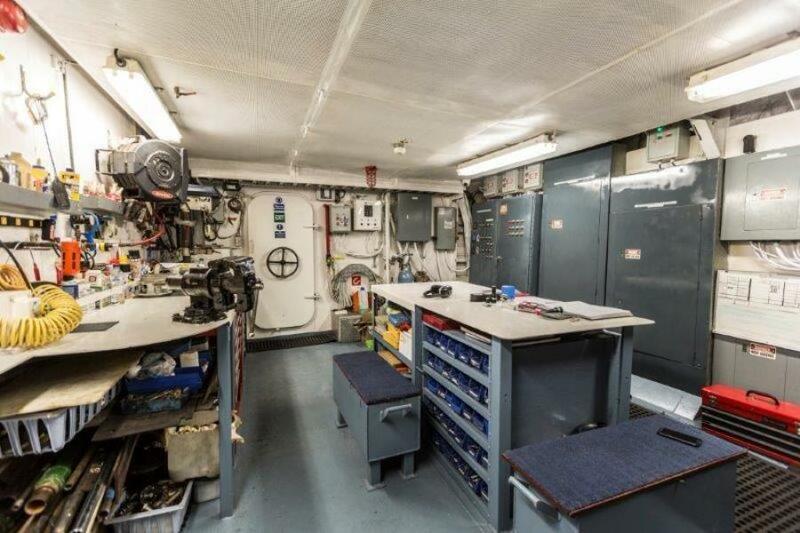 The engine room has three watertight doors, one from the main deck and one from the engineer’s tool room. 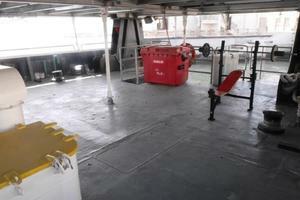 The main deck and upper deck have a total of five steel doors to the side decks. There are 6 watertight doors, new in 2006, plus one in the transom. 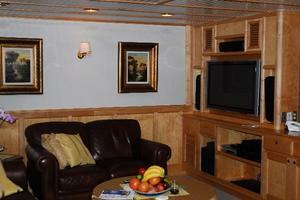 All cabins and common areas equipped with air conditioning, reverse cycle heat and Aqua Air control pads. The HVAC system is comprised of 4 x 36,000 BTU Dometic units (new 2014). The engine room has powered ventilation renewed in 2016 with two 14” x 54” deck openings with manual dampers. The exhaust stacks are also power vented from the engine room to vent screens at aft side of stacks. All bathrooms have extractor fans. The galley has powered ventilation over the stove to the outside of the vessel. All cabins, from the main deck up have bronze portholes, Diamond Sea Glaze windows and Joiner System steel doors. 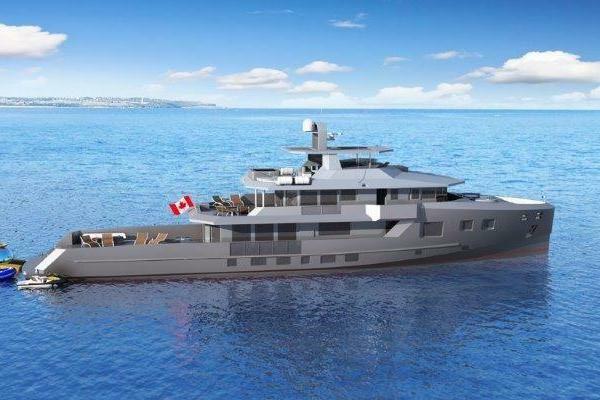 The wheelhouse has bronze portholes, doors on each side, and Diamond Sea Glaze windows aft. 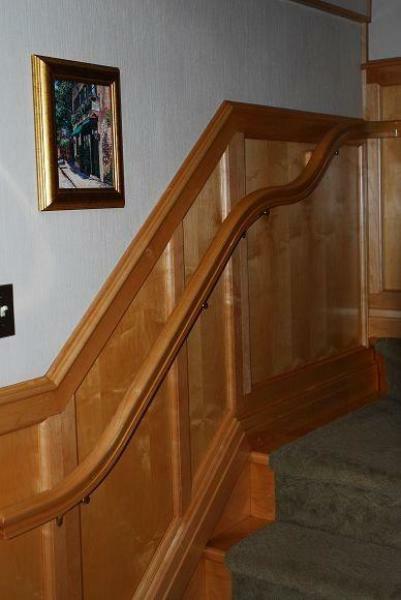 The Owner’s Suite has sliding Diamond Sea Glaze windows. 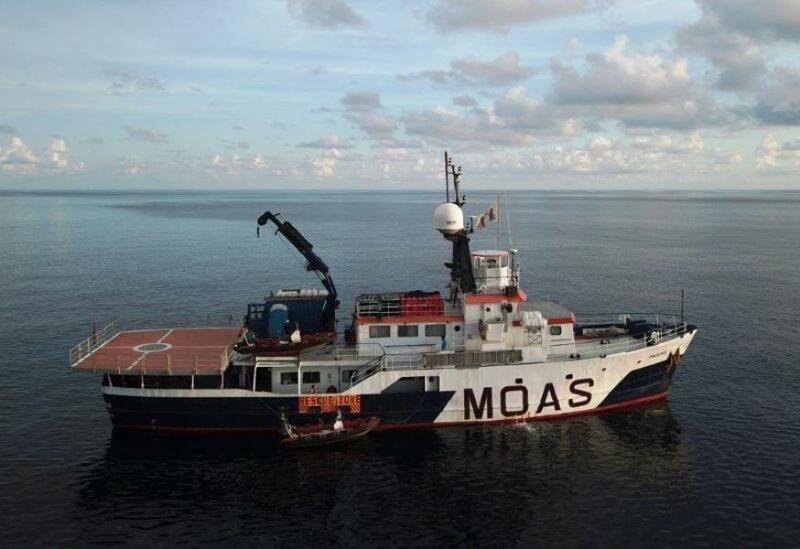 The vessel has had the entire electrical system removed and replaced with new 2005 equipment, breaker panels throughout the vessel, and stranded copper wire. 480 VAC system with transformers for 240 and 110 VAC. There is one Caterpillar 320 KW generator attached to a Caterpillar 3406 engine 2006, total hour 4,656 as of Jan. '18. Two Northern Lights 99 KW generators (2005) with 12 volt start each having separate 12 VDC 8D batteries in approved boxes. Generator #1 total hours 20,467 as of Jan. '18, scheduled for a zero hour rebuild Feb. '18. Generator #2 total hours 9645 as of Jan. '18. The exhausts are dry stacks with drains and heat wrap running to the exhaust Towers (2014). 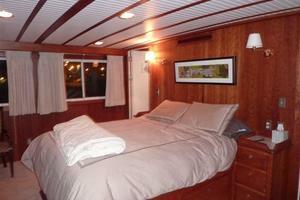 All new (2005) stranded copper wiring and breakers panels throughout vessel. All heads and wet areas have GFI plugs. 480 VAC 60Hz 100 amp shore power connectors with main breakers, ship/shore selector safety switch. 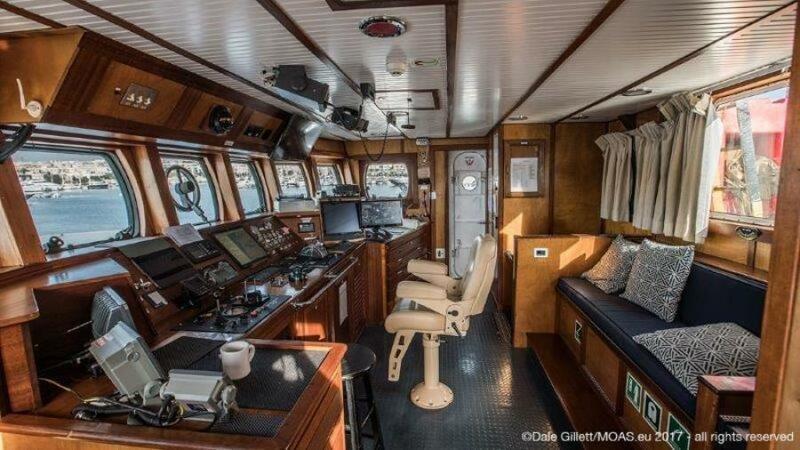 12 and 24 VDC systems for electronics and emergency lights throughout vessel.There are 4 battery chargers under the Wheelhouse:1 X 12 V 40 Amp1 X 12 V10 Amp2 X 24 V 25 Amp There is 1 battery charger in the Engine Room:1 x 24 V 25 Amp The dual filament navigational lights are equipped with a monitoring panel in wheelhouse. 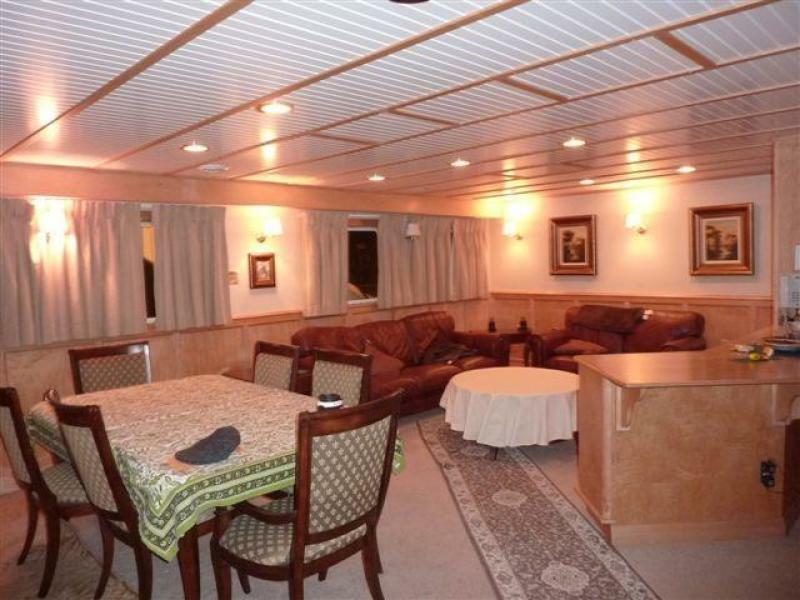 The vessel is wired with recessed lights and 110 outlets in all staterooms, cabins, galley and salon. 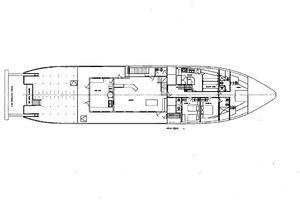 220VAC is available in the Work Room; Crew Lounge; Galley; and on Deck. 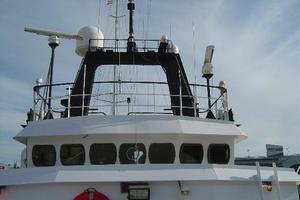 The vessel has AC flood lights on all weather decks. 16 channel analog DVR recipe of 2 TB hard disk, which connects total 16 cameras,(all pro mariner) including 2 PTZ 360° movable cameras. Dual stream video compression; all channel real time. Multiply network monitoring web viewer CMS DSS smart PSS and smart phone DMSS. Advance intelligent function: trip wire intrusion abandoned missing detection alarm. DVR abilities are to contain at least one full month plus, all recorded activities from the 16 channels in. On line control and view abilities off shore and on shore control abilities, Smart phone control, search, PTZ and visual. (Via Internet ). All 16 camera include PTZ cameras have infrared (IR) abilities day a and night view. The Inmarsat Sailor Fleet Broadband 250 provides a backup system for phone and internet connection. Two Flo Jet 8 480VAC run off any generator or shore power. Both pumps are also used for bilge pumping with crossover valve manifold. 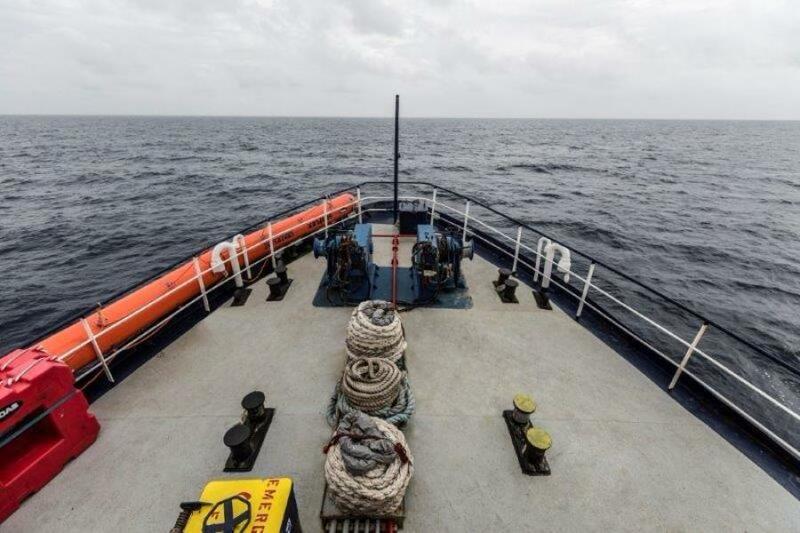 There are firefighting stations at: the foredeck, engine room, main deck at engine room door; aft deck, aft crane deck and tool room. Each station is equipped with 100’ or 50’ hose and nozzle. A diesel powered emergency fire pump is located in the lazarette. The engine room has a fire suppression system with four 100 lb carbon dioxide cylinders with automatic release switches and a manual release at engine room door on the main deck. 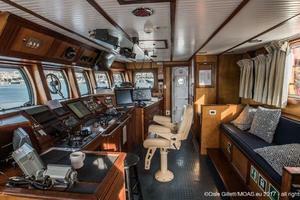 There is a general alarm system with activation switch in wheelhouse. The vessel carries 31 ABC various sizes of portable fire extinguishers. 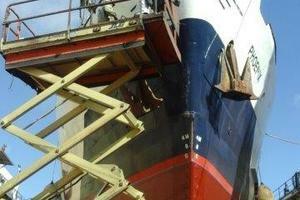 New 2005, Palfinger Marine PK 60000M hydraulic crane rated at 20 ton max lifting, 6,000 lbs at sea. 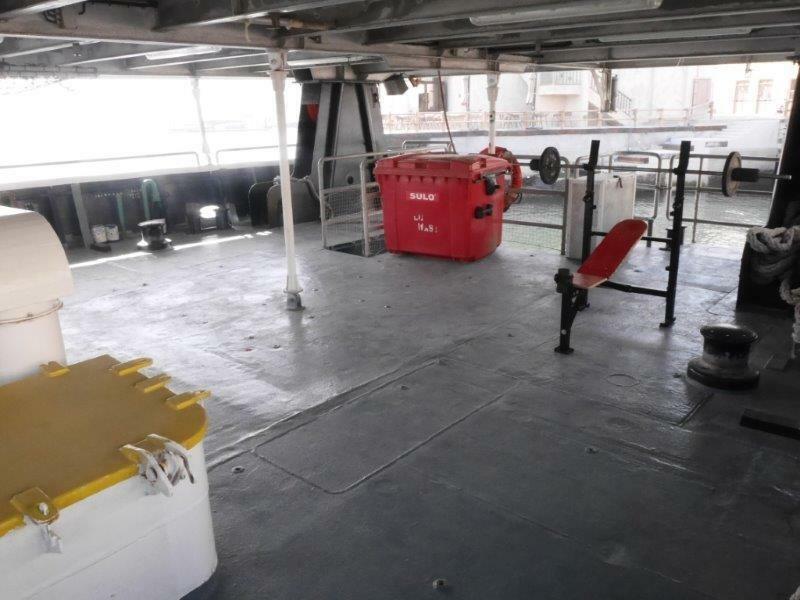 The base is mounted on a 9/16” x 36” steel column that runs from the crane deck, down through the main deck, engineering deck and welded at all bulkheads and decks. Crane operation is at the crane or with a remote. 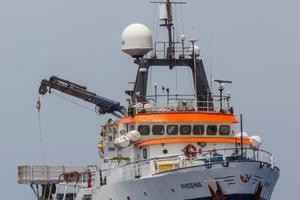 Two rescue boats (Maker Ribquest) 6m long, installed Port and Stb., with 2.4m beam in Orange GRP. Maneuvered by single Jockey Console on center line. Aft ‘A’ frame mounted with support bars and mooring cleats. Powered by 2 Outboard Yamaha F70AETX four stroke engine. Equipped with 4 lifting eyes, Marine loud speaker. All boat covers and Amber LED Strobe mounted to A Frame. RHIB’s are hybrid type, 8mm special foam around an air bladder; if the RHIB is hit or punctured, it will retain its shape and capability.